Computer use and Neck pain. When we sit for extended periods at a computer neck pain and headaches are common. These symptoms are worsened with the use of a lap top due to the increased hunching over that is caused by the proximity of the screen to the keypad. 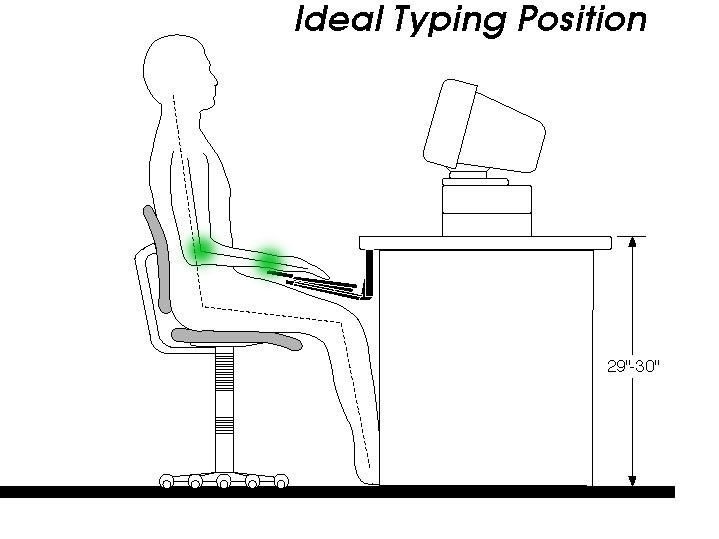 Being aware of posture while sitting at the computer is the best prevention of the strain on the neck. Sitting with the lower back supported with a cushion etc. etc.